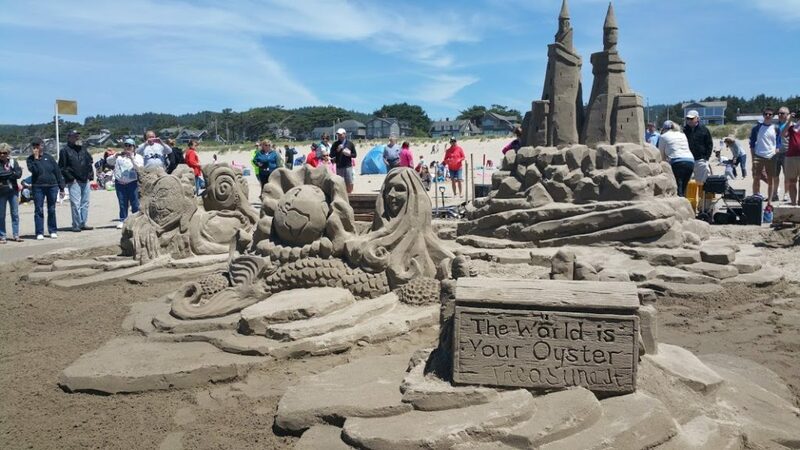 The 54th Sandcastle Contest in Cannon Beach set for June 9: Book now! The 54th annual Cannon Beach Sandcastle contest is set for Saturday, June 9. It’s the oldest competition of its kind in the Pacific Northwest. It is also the most popular event in this wonderfully charming Oregon Coastal town. Dozens of teams of professional sand sculpture artists, amateur groups and families will construct remarkable creations in the sand during the event. The Master’s division teams compete for cash prizes. They will construct large, elaborate creations often utilizing construction forms similar to those used for pouring concrete. resulting in monumental size displays. The sand sculpture contest on Saturday is the highlight of the weekend. Visitors will enjoy other related activities throughout the weekend. The weekend activities kick off with the Sandcastle Parade on Friday afternoon at 5:30 pm. On Saturday evening, beach lovers gather for an 8 pm beach bonfire with live music from 7-10pm. Sunday morning starts with the 9 am Singing Sands 5K fun run and walk. Judging of the sandcastles begins at 5:30pm on Saturday. So the best time for viewing the completed sculptures is between 4-6pm before the efforts of the day are gone with the tide. In 2014, the Cannon Beach Sandcastle Contest was recognized as an Oregon Heritage Tradition by the Oregon Parks & Recreation Department. It is just one of 11 events statewide to achieve such a designation. 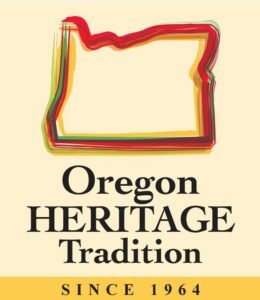 An Oregon Heritage Tradition is an event with a broad public appeal, with at least 50 years of continuous operation and that contributes to the identity of the state. Make lodging reservations early for this popular weekend. Hotels typically sell out rooms in advance. Day-trippers should plan on arriving early. The Sandcastle Contest is the only day of the year when the beach is used for parking to accommodate the large crowds. Cars must be off the beach by 6:30 pm to avoid issues with the incoming tide. For information on how to participate, contact the Cannon Beach Chamber of Commerce at (503) 436-2623.